Canada is signing up for China’s new $100 billion Asian Infrastructure Investment Bank despite warnings from Washington about the massive institution’s financial and environmental standards. The move makes Canada the first North American country to join the Chinese-led organization that counts 57 countries and is seen as the Asian counterweight to the World Bank. “It can be seen as showing support for China and a future international economic and financial order where China is set to play a major role," Wang Yiwei, professor of International Relations at Renmin University in Beijing who is also a foreign policy adviser to the Communist Party’s International Department, told Bloomberg. 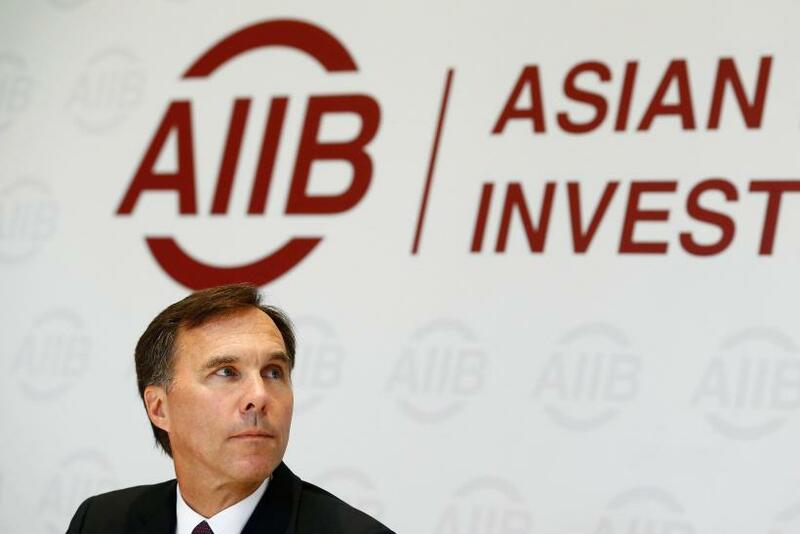 “It can also be read as a display of disappointment at the U.S."
Finance Minister Bill Morneau announced Canada will join the institution Wednesday after a meeting with AIIB President Jin Liqun in Beijing. In turn, China will ease its restrictions on Canadian canola seeds, a major export for Canada. China is Canada’s second-largest single trading partner. “Canada’s membership will create commercial opportunities for Canadian companies and create jobs for the middle class,” said Morneau at a news conference. "Participation in the bank is clearly in Canada's best interest." The Asian Infrastructure Investment Bank funds roads, power lines and other needed infrastructure projects in Asia. The bank announced $509 million in loans for projects in Bangladesh, Indonesia, Pakistan and Tajikistan at its first annual meeting in June. As another sign of its growing influence a year after its launch, the International Monetary Fund will add the yuan to its reserve-currency basket next month. Chinese President Xi Jinping has also seen major U.S. allies such as the United Kingdom, South Korea, France and Italy join the bank. Along with the U.S., Japan -- the world's third-largest economy -- has also refused to join the AIIB.